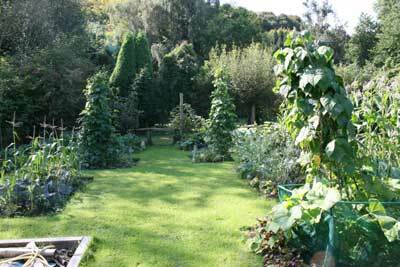 We dig up some runner bean roots like you would dahlias and overwinter the roots. 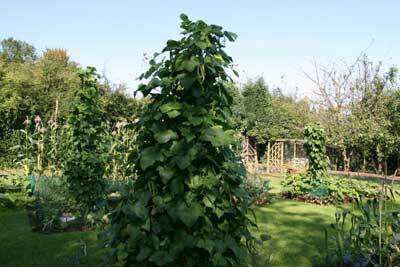 These are then started off in pots early in the greenhouse and this gives us beans as early as May. 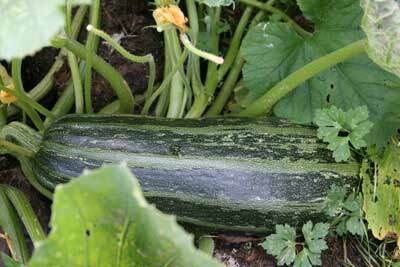 Just a couple of plants in the greenhouse provide enough luxury very early in the season. 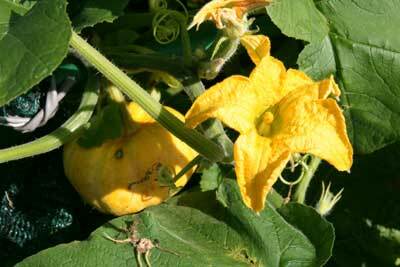 Various marrows, squash, pumpkins are grown in car tyres. Started early a sheet of glass over the tyre provides protection from late frosts and the heat from the black tyre is also beneficial. The curve of the tyre provides a moist atmosphere and a hiding place for slugs! We cover the ground around the tyres with grass cuttings and that solves some of the constant weeding problems. Another view of the garden showing the outline of the beds. In the centre of the grass is a water point. These are placed all over the grounds enabling easy watering in very dry weather. The water is obtained from the canal as we have negotiated to extract water from this 20 mile long tank which runs above the house. Sweetcorn – at its best. 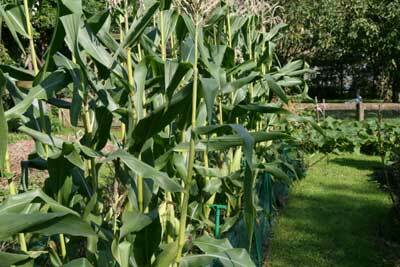 Put the saucepan on to boil – go down to the kitchen garden – pick the corn and run back to the kitchen. 5 minutes on boil – butter, pepper and salt – the sweetest corn you will ever taste. 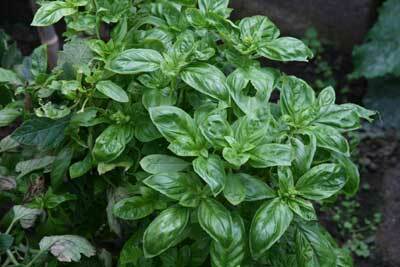 You can never grow enough basil especially if you like to make your own pesto. 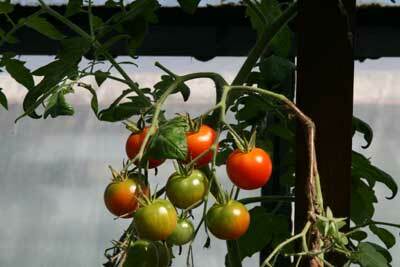 There is something decadent being able to pick and eat a tomato straight from the vine. 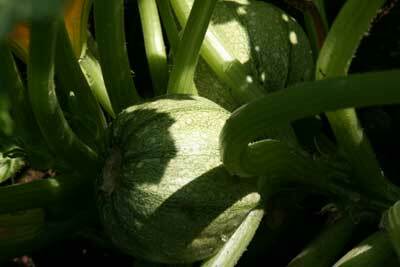 Many varieties of squash have been tried – some are rejected because they lack flavour – some grown year after year. 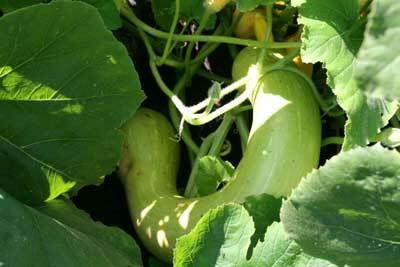 One of our favourite courgettes – round courgettes – a delicate flavour and perfect when small.